I'm definitely no expert when it comes to beauty products and i've always been quite low maintenance with both makeup and skincare but after trying so many different things over the years i've tried to refine my routine down to some essentials that I know benefit my skin. If like me you love makeup free, sun-kissed summer skin with messy, salty beach curls then some of these products might suit you too. Firstly, I'm absolutely obsessed with this product. I don't really know how it works (something to do with using light particles) but what I do know is it transforms my skin and makes it look glowy and dewy without looking like you are wearing any makeup at all; its pure magic! It has a really lightweight feel, almost more like a primer or light moisturiser but still gives great coverage, its also really hydrating and doesn't dry out your skin at all unlike some foundations. I use this everyday usually with a bit of Glossier Stretch Concealer for dark circles and finish with my favourite Cloud Paint and thats my face done. Now dermalogic is a brand I've been using for about a year and a half now and i love it. After trying so many different things on my skin which have given me breakouts or dried my skin out a colleague recommended Dermalogica to me and I haven't looked back since. My skin is 'combined' and slightly prone to dryness and the odd hormonal breakout; I use the Special Cleansing Gel twice a day followed by the Daily Microfoliant (once a day) and the Skin Smoothing Cream moisturiser. Its a routine i've been following pretty religiously and I find it keeps my skin bright with a really good texture. There are so many factors that affect your skin, predominately drinking enough water, but i've found these products really help me. I've recently started using their Sound Sleep Cocoon which is a restorative night gel, having not used a night cream consistently before i'm really enjoying this. My skin looks so much brighter and hydrated in the mornings whereas before it would always feel dry in the mornings, its also got the most gorgeous essential oils smell which really helps me sleep. I can't recommend this enough. 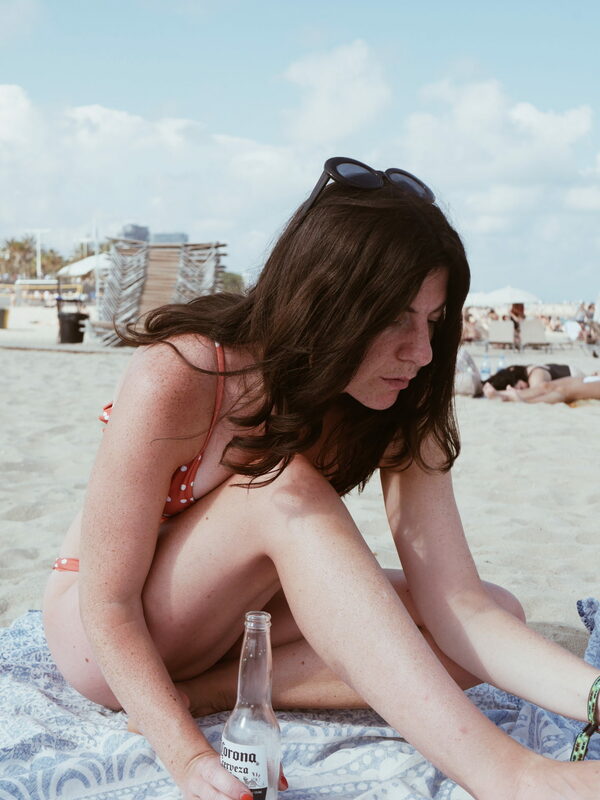 Im half Iranian but my mum's Irish herritage seem to have overpowered those Persian genes and I've inherented her very freckled, fair skin. Now I do tan, and actually go quite brown but I have to be really careful in the sun as I burn really easily. Enter fox tan. This tan enhancer has a unique formula that helps your body produce melanine giving you the kind of deep tan you'd have to be on a 3 week holiday to achieve, and its super moisturising too which makes your tan last longer. 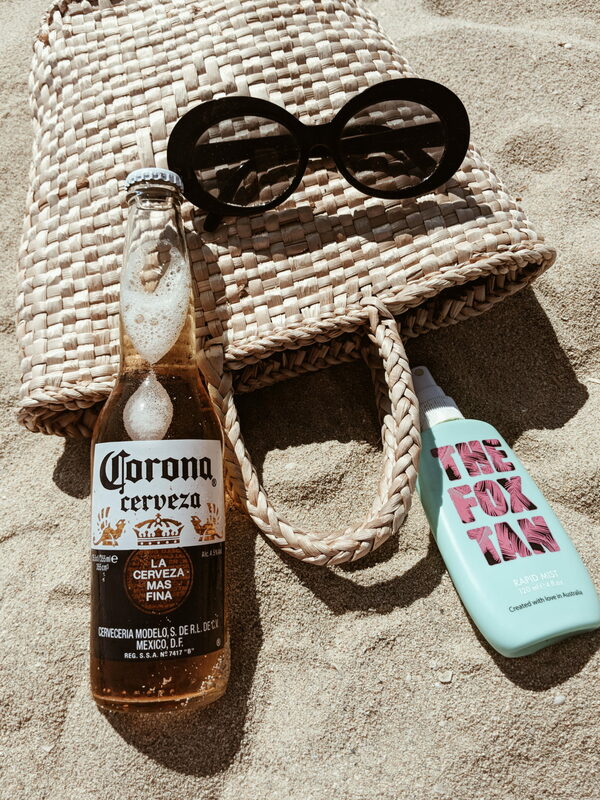 This is not a SPF and does not protect the skin from harmful UV so make sure you combine fox tan with a high factor suntan lotion. Another tanning essential is Bali Body. This will give your skin an instant glow whilst hydrating and protecting your skin (this has a low factor in it so i usually only use it once i've built up my base tan or use a higher SPF as a base). It also smells so dreamy, a mixture of coconut and chocolate whilst you tan, what could be better? Absolute love this stuff, its perfect for achieving those straight-from-the-beach waves. During the summer when its warm enough for my hair to dry naturally (its so thick its nigh on impossible when its not over 20 degrees outside) it goes really wavy, this spray is perfect to add some definition to it and make my waves last longer. It also smells divine, I often just spray it to transport myself to holiday heaven.